Greetings folks. A belated Happy New Year from all of us here at FrankBlack.net. We apologize for the insanity that has been the past 4 months, however, we are dedicated to righting this ship and bringing you some news! 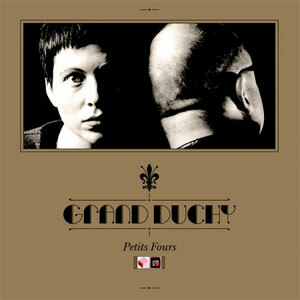 First of all, for our European brethren, this past Monday saw the release of Petits Fours, the debut album from Grand Duchy (aka Black Francis + Violet Clark). You can pick up a copy (import only in N. America at the moment) in our FrankBlack.Net Store. This was preceded by the release of the "Lovesick" EP a few weeks earlier. Now, for all of us across the pond, the album’s North American release date is April 14th, but to help tide you over, we have a few tracks on display in our 35th Podcast, which is now out on iTunes and on our podcast page. Speaking of Grand Duchy, we have added the skeletal information about the album in our Discopedia, but could use some help from our friends in Europe with details like liner notes and lyrics. If you have a copy of the record and a few minutes, please contribute to our ever-growing and evolving project by submitting info here. As far as news on a release date for Der Golem, the best we have is an update on Black Francis's MySpace page - a headline that simply reads "Der Golem is closer..." We will keep you informed as soon as we know anything else. Over at blackfrancis.net, there are some limited edition prints of artwork (done by friend of the podcast Julian Clark) signed by Black Francis himself for the modest price of $15 US. Grab one while they last! Finally, be on the look out for some changes to our site in the coming months, as well as the return of our monthly podcast. And, as always, pop by our forums to say hi to some fellow fans and join in the always engaging conversation! Grand Duchy has posted a new video. This time? Some spliced together footage of a rehearsal for one of the Lovesick EP (and iTunes bonus) tracks called "The Timbers". In addition to that, there are at last hints of the summer tour that we've all been waiting to hear about. No further details yet, but we will let you know as soon as we have any information we're able to share. It's becoming routine to say, "FrankBlack.Net is down again." I don't know why we have increasingly become a hacker target, but it seems like we're either fighting off hackers or our hosting company as a result of excess "system resources" being used fighting off these attacks. Unfortunately, in spite of my extensive digging through Google's cache to bring back the news, most of the site did not survive the last attack. The files, yes. The data, no. What is more unfortunate is that the backups that were being made by our server provider were being corrupted so we were unable to restore from any point since I last made a manual backup. Moreover, THAT backup was also corrupted by the same server problem. And so, luckily (if you can call it that), I had an old backup from almost a year and a half ago so that SOME information (mainly our song database, as it was) was saved. It's time to move to a new server, a Unix server. It's time to migrate our Song Database, biographies, news, and (finally - photo galleries, article database, and) many other aspects of the site to a wiki. It's time for an entirely new site design, layout, and there is probably no better time than right now. Frank Black and Violet have volunteered to furnish us with new art and photos to make our new site more up to date and less Catholics-era. It is time to move our main site to the FrankBlackFrancis.Net and build something that everyone can participate in without having to go through myself or Brian. The thing is, this is a lot of work. A lot of work. It's more than Brian and I can handle and more than we could ever hope to take on. So, quite simply, we won't without a solid pledge of assistance. We need people with some technical abilities to help craft our wiki into something usable and elegant. We need people with a flair for the graphical to help us conjure a layout that will be useful and easy to navigate. We need people to tell us what they want in the new website. Have a favourite forum software (we're sorry to say goodbye to Snitz, but it is, unfortunately, Windows only)? Wiki platform? We need to know. If you are interested in a future fansite for Frank Black Francis, you need to let us know. Post in our forum (when it's back online) or email Brian or myself (cat with a 'k' siris@yahoo.com). If you're not, well, this site will continue as is, and we will all know that it could and should be better. Like a certain band playing the Isle of Wight this summer (yes, that band), FrankBlack.Net has risen from the dead. Zombie or Phoenix, we now leave it up to you. While the sod has finally been turned on a top secret development server for the new Frank Black website and discussion of features and themes is starting to foment here, we would be remiss if we didn't share a few tidbits of news in the meantime. Before we get anointed in the Grand Duchy, the Der Golem Boxset is on the way. Der Golem is a 1930s silent film scored by Black Francis and Eric Drew Feldman which has gotten fans very excited especially after the track Bad News was released on French site Blackolero. We don't have an official release date, but we're looking hopefully towards the end of May. In the meantime, visit the brand new BlackFrancis.Net site and join their mailing list to get another free track! May will be an exciting month for many other reasons, even if Der Golem should slip. Grand Duchy is planning a warm-up tour of the US West Coast in May, for starters. If you're in the Windy City, however, and can wait until the waning days of July, they are also headliner for the Wicker Park Festival though we can find no up to date third-party information on this. Nowhere near? Well, Spin Magazine is doing a Grand Duchy feature for their "In My Room" segment in May. They will also be guest editors on Magnet.com for a week which should give eager fans a couple posts per day from the Dynamic Duchy. And sometime around there, they will be doing a session on NME Radio. No word on the Grand Duchy's return to its roots in Europe, but with the Pixies still alive and playing the Isle of Wight festival late June (and in talks for a few other shows), there are rumours flying that Grand Duchy may stake their ancestral claims too, perhaps alongside the new Joey Santiago and David Lovering project, Everybody. But rumours will be rumours and so we won't speculate on whether the Pixies will finally give some love to the much neglected songs of their catalogue (Motorway to Roswell, anyone?) or perhaps play some of the band members' solo tracks. We think the latter unlikely, the former probable, and the rumour that they will be debuting all new material, well, immaterial. As to the rumour that the Pixies will conclude this tour in Latvia with a lullaby (perhaps from the Rockabye Baby Pixies CD), we'll let you decide. At last, details of the Grand Duchy May warmup tour are starting to surface. While we still don't have most of the venues confirmed, the band will start just shy of the Canadian border in Bellingham, Washington, and work their way down to Santa Barbara, California over the first ten days of May. It is doubtful there will be time for many more shows in the springtime, as the Pixies are playing festivals in Europe come June. However, Grand Duchy should be annexing most of North America, city by city, starting in July. Keep an eye on our list of tour dates (to the right) for upcoming dates and venue information as it becomes available. It is with a heavy heart that we share the news of the passing of occasional Frank Black Francis collaborator, and all around great guy Duane Jarvis. According to the L.A. Times, Duane passed away Wednesday morning, surrounded by family. He was 51. Duane has played with FBF on the Fall 2006 North American tour, and his playing appears on Fastman Raiderman, as well as on the forthcoming Der Golem. Duane was a true gentleman, and was amazingly kind to me the few times our paths crossed. Rest in Peace, Duane. We miss you already. Matto writes to let us know that Pitchfork has a video, along the lines of the secret videos on GrandDuchyMusic.com of an unknown song followed by a fun clip of what sounds like an early demo (with video) of "Come On Over To My House". Preceeding all this is a bunch of Grand Duchy stock footage which is sure to entertain if not promise the video a spot on MTV. This week, Grand Duchy is guest editing Magnet Magazine's website - this means that twice a day, we get mini-posts, called "Grand Duchy Cultural Positions," from the band about things they dig. The first such article, about Woody Allen, can be found here. Also, Magnet did a Q&A with the duo, which touches on the Starland Vocal Band, Larry of the Three Stooges, and being "heavily into Google Translating." Keep checking the site for more updates throughout the week, as well as a full recap from us this weekend! As promised, here is a recap of the twelve "Cultural Positions" taken by the Duke and Duchess of Grand Duchy over at Magnet Magazine Online this past week. Things started off with a Q&A wit the band, followed by a look at the films of Woody Allen, a discussion of Pink Champagne, the genius of Tommy Wiseau, The Cars, Atomic Ranch Magazine, the Pompidou, the comedy stylings of Tim and Eric and Zach Galifianakis, a post on happenings, the Italian crooner Paolo Conte, 21st century heath and healing remedies, the punk rock trailblazers Mick Jones and Tony James, a.k.a. Carbon/Silicon and finally, hotels. It was quite a varied dozen - and although we are sad their week as guest editors is over, we are excited that in the morning we will officially be treated to the North American release of Petits Four. And, it appears that we will be treated to three iTunes exclusives - "Donnes Moi," "Ma Carrefour" and "Beg" - and the best part is, they are available as individual downloads (unlike so many iTunes exclusives which are only available as part of an album) - so if you would prefer a physical copy of the record, make sure to pick up the three bonus tracks on their own. We've been stockpiling some exciting news here at FrankBlack.net - so let's get right to it! First of all, for all of our United States/Western Canadian readers, make sure to try and catch either Grand Duchy or Black Francis solo on their July tour! Now, for all those across the pond who feel left out, the Pixies will be touring Doolittle in its entirety, along with its appropriate b-sides, throughout Europe in October. The tour is celebrating the record's 20th anniversary. 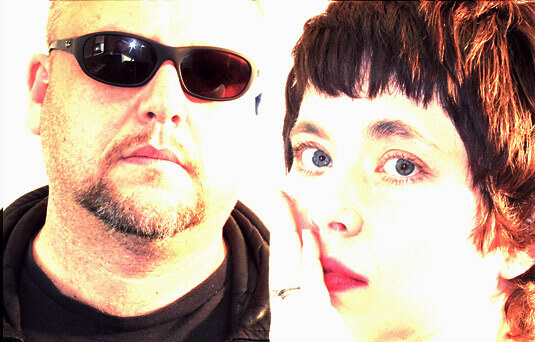 In addition to all the live dates, we have a bit of additional Pixies news. It seems that Mr. Black Francis has offered a challenge to Hollywood directors - let the Pixies score your film! “The band needs to work with a film director. Quentin Tarantino or someone like that. It’d be like, ‘Make some music for our film, you guys be the sound of the film’.” Will anyone take them up on this task? Do you see them working with someone like the aforementioned Tarantino, or someone like David Fincher? Or maybe even Judd Apatow! 03 Michael Stipe: "Everything’s Coming Undone"
The record comes out September 29th (my wedding anniversary!) on Shout! Factory records and was put together by friend of the site, Myles Mangino (who we hope to have on a podcast soon to further talk up the record). And finally, the writers over at Magnet, one of the best music magazines still standing, have asked a question that has plagued our forum members for years now: Frank Black Vs. the Pixies. Read the funny (and controversial!) article here. And, keep your ears peeled for new podcasts on the 15th of the month, every month, for the foreseeable future. 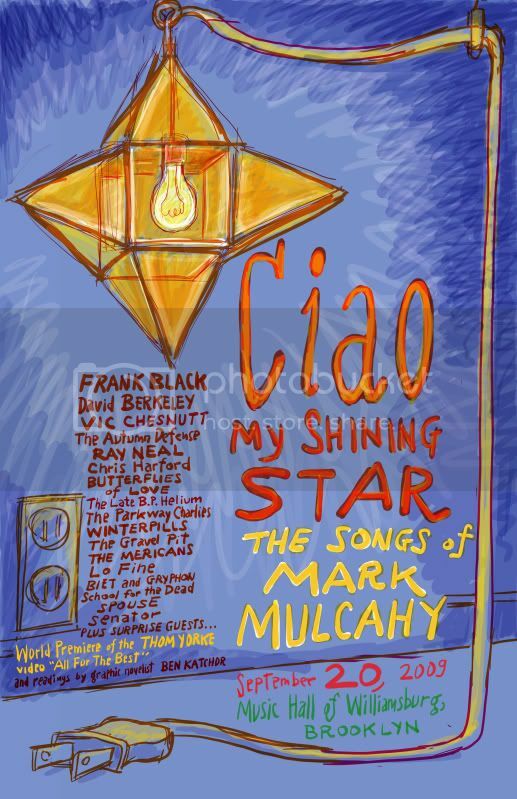 First and foremost - this coming Sunday, anyone within driving distance to New York City should be checking out "Ciao My Shining Star: The Songs of Mark Mulcahy," a night of live music featuring our own Frank Black, as well as the great Vic Chestnutt, The Autumn Defense (featuring Pat Sansone and John Stirrat of Wilco) and many, many more. Tickets are available here. And make sure to pick up the album that the show is celebrating when released September 29th. For more information, including a tracklisting, see our last news post. You may notice that our tour dates section has been recently updated to reflect the full North American Pixies Doolittle tour, starting in early November. And more tour dates keep rolling in, with the Pixies heading down under for some shows in New Zealand and Australia - we will get those up soon as well. We are also happy to report some news on 2 long-gestating projects: Der Golem and another new record produced by Eric Drew Feldman (who also produced Der Golem)! Der Golem is due to be released "in time for the holiday season" according to our friends at BlackFrancis.net. Remember, there are only 500 copies available - so grab it as soon as it is out! 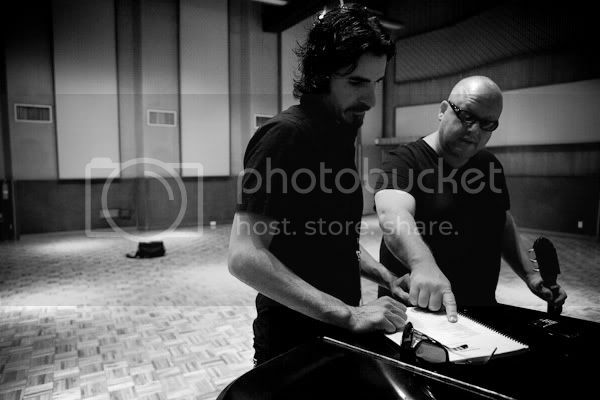 Here is a picture of FBF at work in Ocean Way Studios in Los Angeles working during the LA sessions for this new record, which will pick up very soon in the UK for the next batch of recordings. Whether or not this will be titled Non-Stop Erotik, as rumored by NME, is yet to be determined. Blackfrancis.net also reports that a 2nd USB release, Live in Nijmegen, featuring the Bluefinger band of Dan Schmitt and Jason Carter, will be ready for release soon as well. According to their Facebook page, a 2nd Grand Duchy album, titled Let the People Speak is already on its way to completition. We hope to hear more about this soon. Our old pal Ben Sisario (author of the 33 1/3 series book, Doolittle) recently wrote an article for the New York Times on a rare, vinyl-only collection of the “Best Recorded Screams” as voted on by New York record store owners and - surprise, surprise - Black Francis is represented (by “Vamos”). Read more here. Magnet Magazine has been all about FB lately - and now looks at his cover of “Hang Onto Your Ego” and pits it against the Beach Boys’ original. The article includes FB’s video, which if you’ve never seen it, is well worth a watch. Read about it here. Ever wonder what Frank’s favorite Beatles song is? Wonder no more! FB does a nice Q&A over at RollingStone.com. And finally, Everybody, aka the Pixies’ Joey Santiago and David Lovering, have apparently collaborated with Matt Sharp of The Rentals on a few tracks - read more over at, you guessed it, Magnet. First of all, for all us North Americans, the Doolittle tour should be rolling into your town very soon! Please check the tour dates to make sure that you don't miss the show. On Friday, the Pixies are paying a visit to the Tonight Show with Conan O'Brien - make sure to set your DVRs to catch this rare network television performance - Friday, 11:35pm EST on NBC. Moving on from the Pixies, Black Francis is hosting two nights benefiting Winston Bertrand. I'll let this press release tell you about Winston: Winston Bertrand was born on February 20, 2009 with a double whammy of two extremely rare and life-threatening conditions. Winston was born with two rare complex malformations called Lymphatic and Venous Malformations. Lymphatic malformations are varying sized cystic abnormalities of the lymphatic system occurring in perhaps 1 in 10,000 births. His parents, Jennifer and Chris Bertrand have had to practically abandon their business to assist in around-the-clock in-home medical care for baby. So what can we do to help out Winston? Well, first of all, you can donate to "Winston's Village" by clicking here. But, more excitingly, there are two gigs coming up that sound like they're going to be great, with all the proceeds going to Winston's Village. They take place December 8+9 at the Echoplex in Los Angeles. The show on the 8th will feature Black Francis "doing band and solo performances with special guest appearances by people like members of THE PIXIES and LOVE & ROCKETS, FLEA, SHE WANTS REVENGE, WEIRD AL YANKOVIC, MICHAEL PENN, DAVID J, THE 88 and GRAND DUCHY...more to be added." The show on the 9th is a night of comedy hosted by Black Francis and featuring "TIM & ERIC (form the Tim & Eric Awesome Show Great Job! ), BOB ODENKIRK, BRIAN POSEHN, DAVID LOVERING, solo performances from Black Francis plus others to be announced." These shows sound amazing, and all of your Angelinos better make it out to one, if not both, of these. Once we get a release date firmed up for this, and for the Golem, we'll let you know!